Around the end of my first trimester, which also coincided with my graduation from the University of Texas in May 1996, I received a postcard from an old friend in Lawrence. 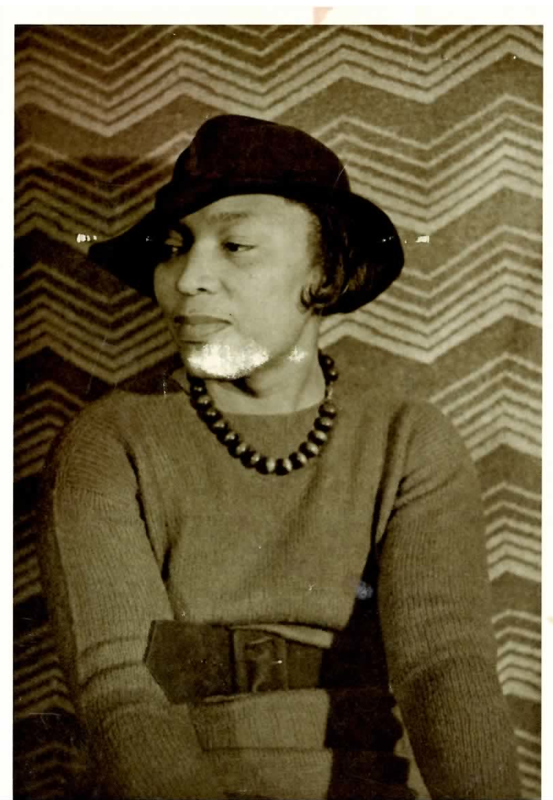 The postcard is my favorite photo of Zora Neale Hurston. On the back of the postcard, my friend told me that the new chancellor of the University of Kansas, Robert Hemenway, was a Zora Neale Hurston scholar and wrote a biography about her. Apparently the biography helped inspire a rediscovery of Zora Neale Hurston. My friend knew that I was a fan of Zora’s. What he didn’t know was that I studied her quite a bit while getting my undergraduate degree (English BA). And, although he knew I was pregnant, he didn’t know that I was dying to name my unborn daughter Zora. Sadly, I had to give up “Zora” in exchange for my baby’s father giving up “Astonza”. I mean, really, I couldn’t imagine calling my baby “Stonzie” for short. The idea gave me visions of The Fonz. Aaayyyyyyy. In hindsight, whatever I picked for the kid’s name wouldn’t have mattered. She ended up hating the name her father and I agreed on and changing it by the time she was 16. All those negotiation hours, wasted. Eventually I lost contact with that old friend. Many Google searches later and I still haven’t found him. But I found that postcard.